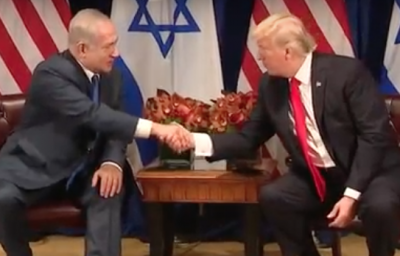 The claim made by many neoconservatives that Israel and the United States are partners in the Middle East because their strategic interests are identical is belied by the fact that the Israelis are more than willing to ignore Washington when its suits them to do so. The claim of identical interests has always been false, promoted by the Zionist media and an intensively lobbied Congress to make the lopsided relationship with an essentially racist and apartheid regime more palatable to the American public, but, in wake of the slaughter in Gaza and pending legislation in the Knesset empowering Israeli communities to ban non-Jewish residents, it completely lacks any credibility. The core theory of Soviet foreign policy was set forth in Lenin’s Decree on Peace, adopted by the Second Congress of Soviets in November 1917. It asserts the dual nature of the USSR’s foreign policy, which intends to be a mix of both ‘proletarian internationalism’ and ‘peaceful coexistence’. We stand here today to protest against the visit of the 45th President of the United States of America. And so we are setting out before the world all of those things that we are against. His misogyny. His islamophobia: and as long as there is a travel ban to America on the grounds of religious intolerance. The European Central Bank, ECB, is at the heart of the failure to stabilize Europe’s economy since the 2008 global crisis. It is a central element as well in the institutional arrangement since the creation of the Euro that has allowed northern Europe economies and banks, especially Germany, to skew economic growth for itself at the expense of the rest of most of the European periphery, especially its southern tier. Palestinians in Gaza continue to march to the fence separating them from their occupiers to demand that they be allowed to return peacefully to their homes on the other side. Their peaceful endeavour has been met with brutal force resulting in over 130 killed mostly by Israeli snipers and over 10,000 injured with some sustaining horrendous injuries and others losing limbs.